Perfect for building a youth bedroom that will age well thanks to its versatile transitional style and cool gray finish, is this handsome full headboard and footboard bed. 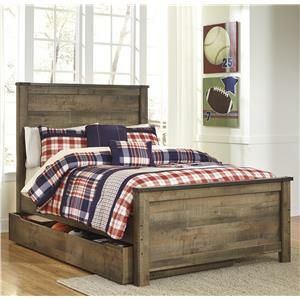 At the center of the paneled headboard and footboard is a ventilated panel that adds character to the unit. The Garcia Transitional Full Headboard and Footboard Bed by Homelegance at Beck's Furniture in the Sacramento, Rancho Cordova, Roseville, California area. Product availability may vary. Contact us for the most current availability on this product. The Garcia collection is a great option if you are looking for Transitional furniture in the Sacramento, Rancho Cordova, Roseville, California area. 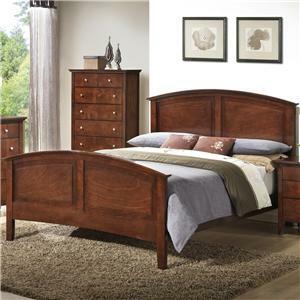 Browse other items in the Garcia collection from Beck's Furniture in the Sacramento, Rancho Cordova, Roseville, California area.